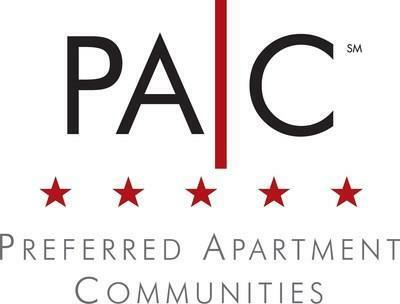 ATLANTA, April 15, 2019 /PRNewswire/ -- Preferred Apartment Communities, Inc. (NYSE: APTS ) ("PAC" or the "Company") today announced that on April 12, 2019 it closed on an aggregate loan investment of up to approximately $7.2 million in connection with Oxford Properties' plans to develop Oaks at Hidden River, a 204-unit Class A multifamily community located in Tampa, Florida. "We continue to originate real estate loan investments as it provides the Company with attractive current returns and a pipeline of modern and new Class A multifamily communities," said Jeff Sherman, the Company's Executive Vice President and Managing Director of Multifamily. Mr. Sherman added, "This site is located in a great sub-market of Tampa, within Hidden River Corporate Park, a 476-acre park located at the intersection of I-75 and Fletcher Avenue." Preferred Apartment Communities, Inc. is a Maryland corporation formed primarily to own and operate multifamily properties and, to a lesser extent, own and operate student housing properties, grocery-anchored shopping centers and strategically located, well leased class A office buildings, all in select targeted markets throughout the United States. As part of our business strategy, we may enter into forward purchase contracts or purchase options for to-be-built multifamily communities and we may make real estate related loans, provide deposit arrangements, or provide performance assurances, as may be necessary or appropriate, in connection with the development of multifamily communities. As a secondary strategy, we may acquire or originate senior mortgage loans, subordinate loans or real estate loans secured by interests in multifamily properties, membership or partnership interests in multifamily properties and other multifamily related assets and invest a lesser portion of our assets in other real estate related investments, including other income-producing property types, senior mortgage loans, subordinate loans or real estate loans secured by interests in other income-producing property types, membership or partnership interests in other income-producing property types as determined by our manager as appropriate for us. At December 31, 2018, the Company was the approximate 97.9% owner of Preferred Apartment Communities Operating Partnership, L.P., the Company's operating partnership. Preferred Apartment Communities, Inc. has elected to be taxed as a real estate investment trust under the Internal Revenue Code of 1986, as amended, commencing with its tax year ended December 31, 2011. Learn more at www.pacapts.com . The SEC has declared effective the registration statement (including prospectus) filed by the Company for each of the offerings to which this communication may relate. Before you invest, you should read the final prospectus, and any prospectus supplements, forming a part of the registration statement and other documents the Company has filed with the SEC for more complete information about the Company and the offering to which this communication may relate. In particular, you should carefully read the risk factors described in the final prospectus and in any related prospectus supplement and in the documents incorporated by reference in the final prospectus and any related prospectus supplement to which this communication may relate. You may obtain these documents for free by visiting EDGAR on the SEC website at www.sec.gov . Alternatively, the Company or its dealer manager, Preferred Capital Securities, LLC, with respect to PAC's mShares Redeemable Preferred Stock Offering and Series A Redeemable Preferred Stock and Warrant Unit Offering, will arrange to send you a prospectus if you request it by calling Leonard A. Silverstein at (770) 818-4100, 3284 Northside Parkway NW, Suite 150, Atlanta, Georgia 30327.